My daughter requested a Finding Dory theme for her birthday party this year, and I was thrilled! 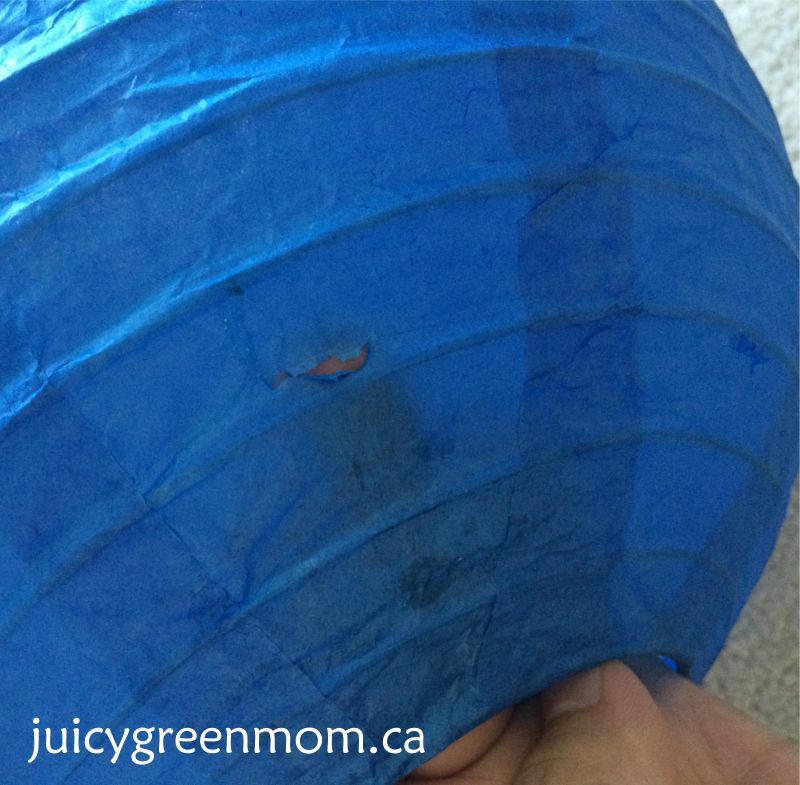 There are so many great ideas out there for an ocean-themed party, and I really wanted to try making some DIY paper lantern jellyfish. Greenmunch is my absolute favourite place to get party supplies, especially their sustainable and compostable disposable tableware options (I’ve done several reviews of their products, and have loved everything I’ve tried). Did you know they also carry lovely paper lanterns in a variety of colours? And they have twine and ribbon that are safe for people and the environment – perfect for packaging, and ideal for my project! Here’s how I made my jellyfish! I inserted the metal frame into the lantern to make it easier to maneuver. Then I counted up from the bottom 4 rings and made a little slit in the paper above the ring. I cut lengths of ribbon I thought looked nice, at least 1.5 ft long. I curled some of them and left others to try to vary the way they looked. 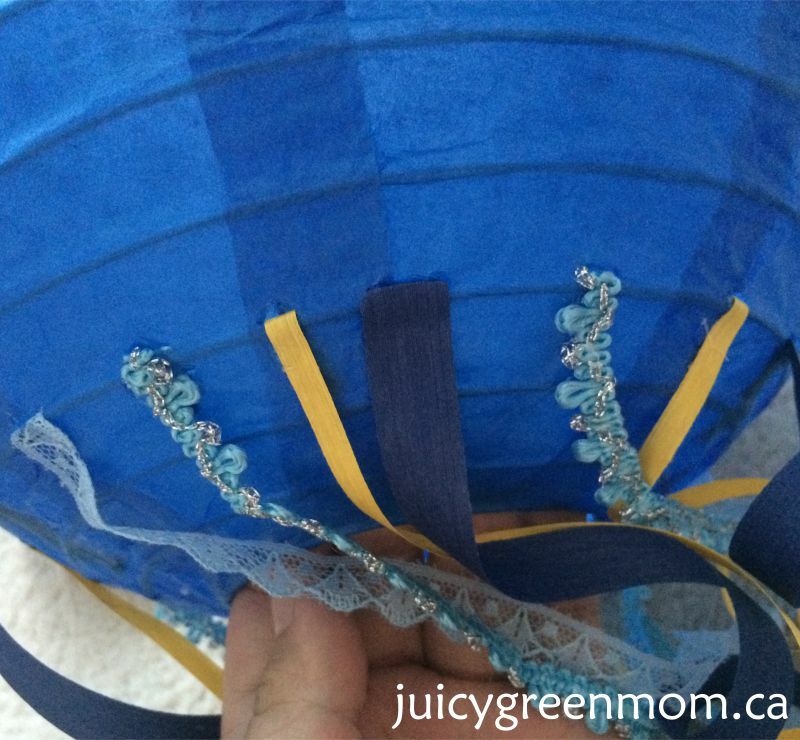 Using a glue gun, I put some glue on the end of my ribbon or trim and quickly inserted it into the slit. With my other hand inside the lantern, I pressed it onto the inside. I did this all around the lantern (I did 15 in total because my daughter looked up on Google how many tentacles jellyfish have… apparently they have up to 15!). I wanted to add a little band of tissue paper to the bottom of the lantern so it looked more jellyfish-like. 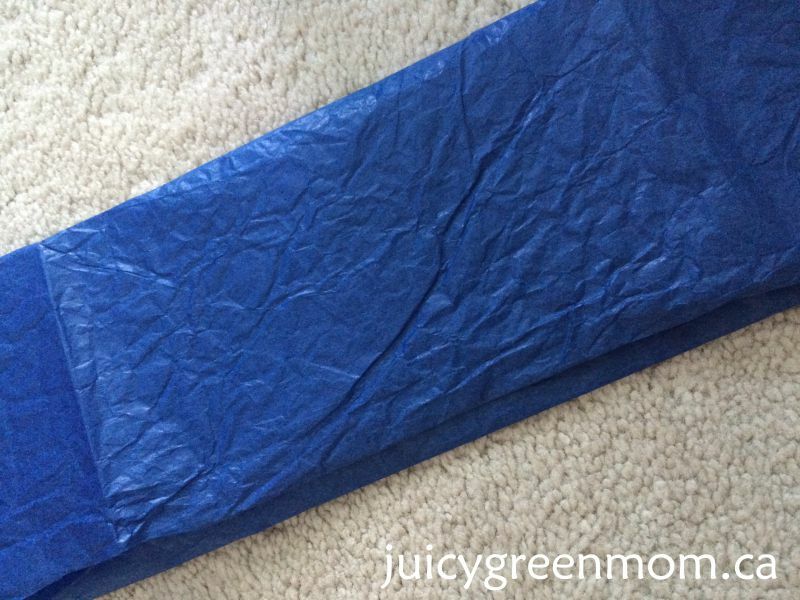 I folded up a length of tissue paper a few times – if it wasn’t long enough, folded another length and inserted it into the other one with a bit of glue. Then I made it a bit scrunchy, and used the glue gun to attach it to the lantern. I’m pretty happy with how they turned out – I really liked how the lace and other trim contrasted with the swirly ribbons. It was fun and easy to do while watching Paw Patrol with my daughter. I really loved working with these paper lanterns and the ribbon from Greenmunch – really versatile and perfect for all kinds of projects! 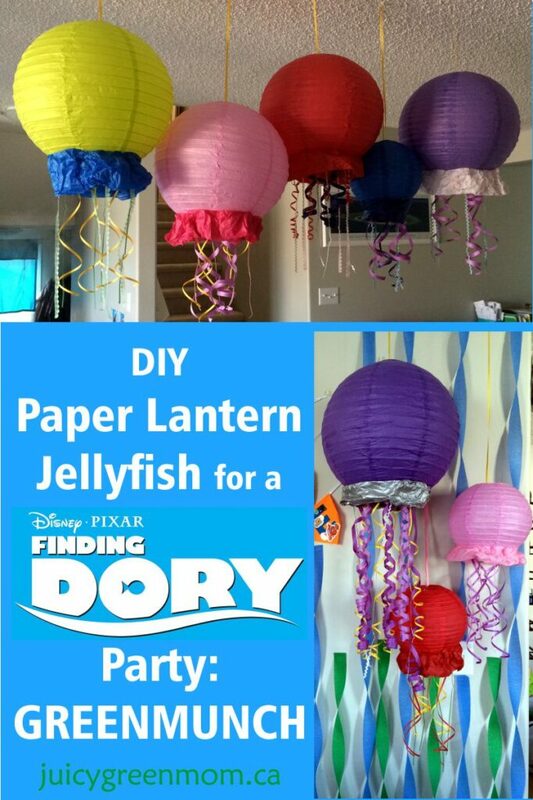 What would you DIY for a Finding Dory party?